Boccadito is a restaurant in Doylestown that I recently tried for the first time. I have lived in Doylestown for 15+ years and it is not very often that I find a new restaurant for me. What makes it even funnier is that is across the street from my apartment. If you follow my blog, you know, I love good food! One of my favorite dishes is paella. Currently, I am home recovering from DEIP flap reconstruction for breast cancer. My friend Fi came to help me with my recovery and she shares my love for paella. 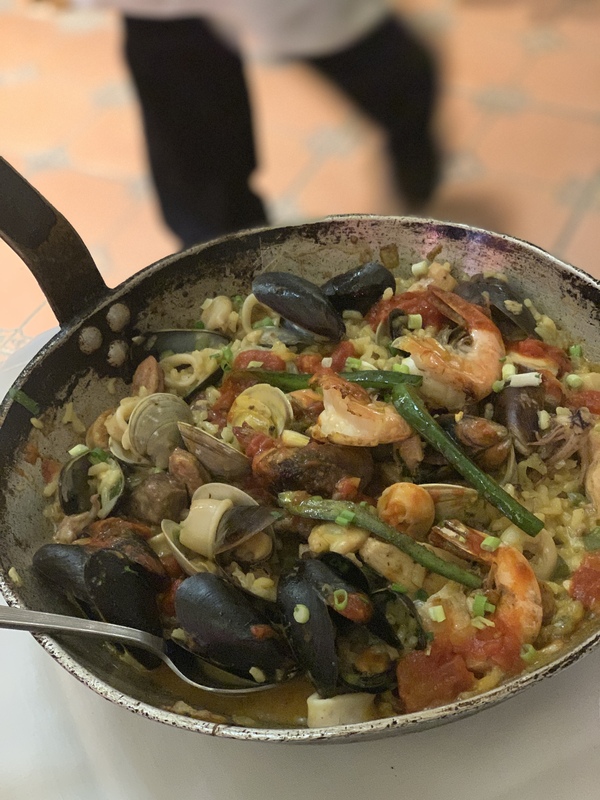 We went to Boccadito to have their paella! 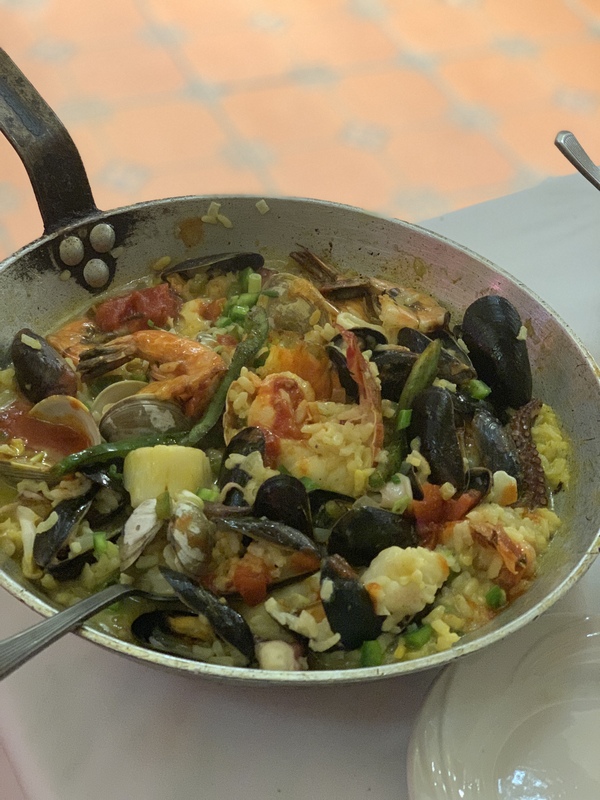 Until my acupuncturist told me that there was a restaurant in Doylestown that had paella, I had no idea. I thought there weren’t any restaurants in Doylestown that made this dish. I am so happy that he told me that they made paella. It was a great evening of laughter, food and friends. These are three of my favorite things. 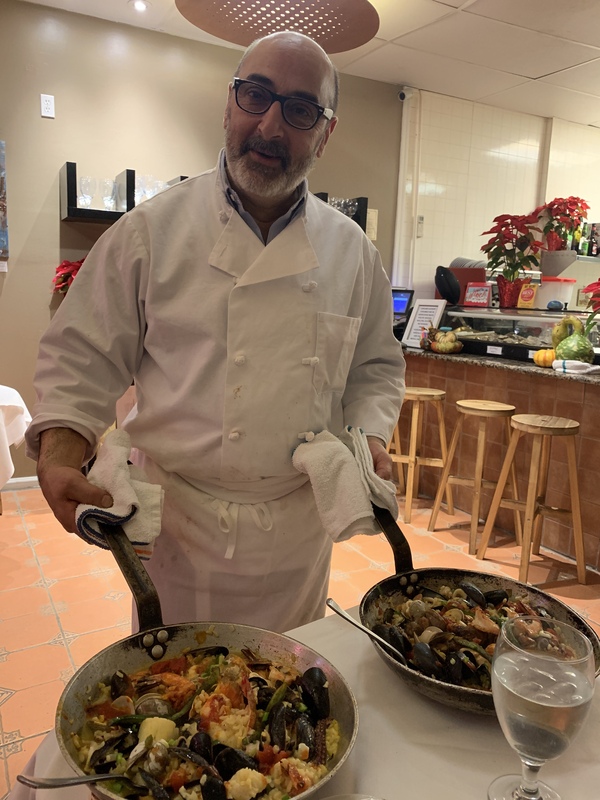 We never saw a menu and ordered the paella and took Franco’s (the chef) recommendation for an appetizer. We discussed with Franco how the key to great paella is good saffron, which is not a cheap ingredient. The saffron used in the paella is $17 alone, so if you wonder why paella is usually more expensive, you know why. We got two orders of Paella, since I don’t eat meat and Fi wanted to try the full version. 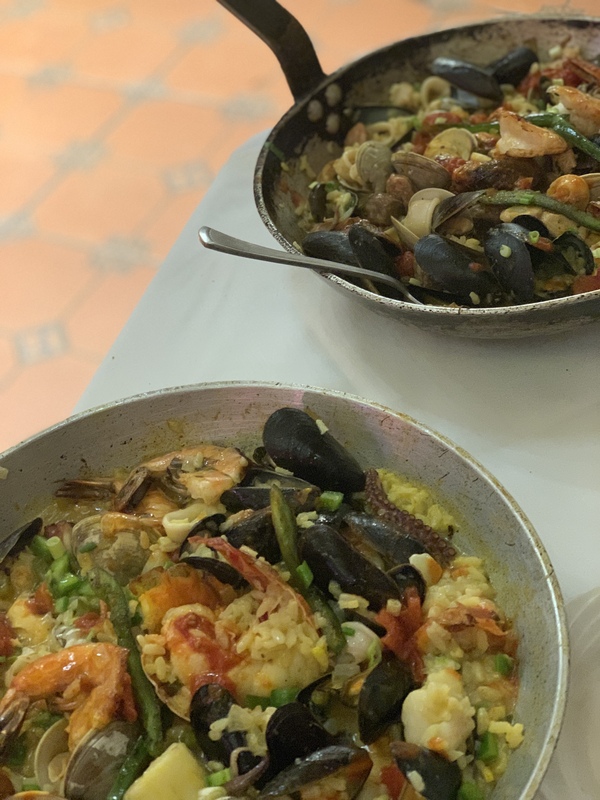 I will be back for this delicious paella and to try other items on their menu!